Landon Donovan makes a return to Everton. He was on loan back in 2010 January. What was suppose to be a 2 month fitness upkeep before the World Cup 2010, turn out to be a love affair for Landon. The fans took to him, and if one follows his tweets, it is obvious that he has fallen in love with Everton. Good to see a quality player back. Wish we had the money to buy him. 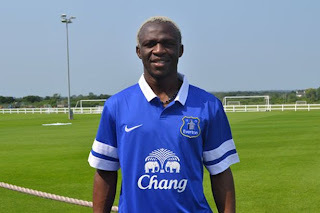 He will play for Everton till end of February 2012. Thanks Landon, for returning. Weave your magic and bring on the goals. Landon, back in 2010. He did good!